Loki (Thor 2011) Loki toasts! 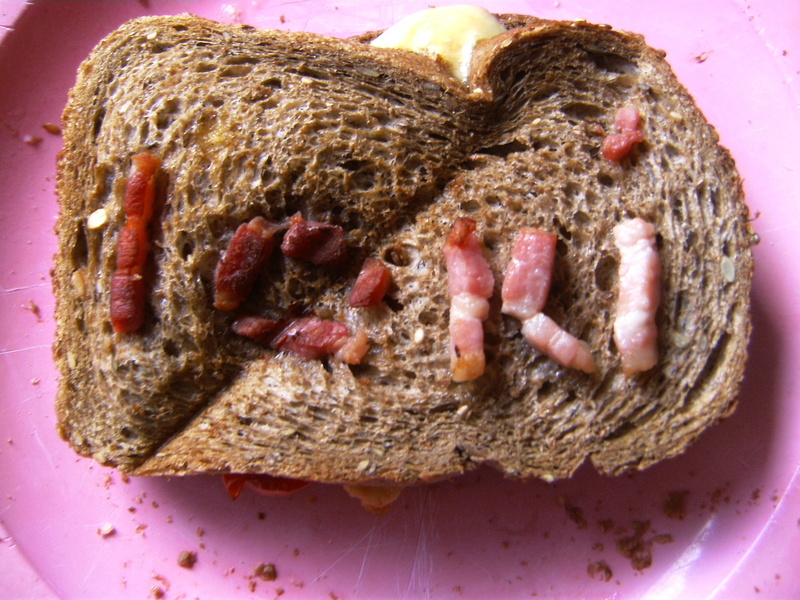 btw: do so much bacon, cheese and tomatoes till it has the Loki taste. Step 1: Slice the tomatoes and the cheese. Step 2: Put the cheese and the tomatoes on the way you like it on one slice of bread. Step 3: Put the other slice of bread on the first. Step 4: Put the bacon on the bred because other sides it wont be ready on time. Step 5: put it in the toast maker till the bacon is done. TIP 1: you may spell whit the bacon Loki on the toast. TIP 2: put some cheese on the bottom to of the bread too get a crispy crust. P.S. : if i spell something wrong please say it so i could change it.